Today we would like to start series of blog posts that will show you characters from the game. We would to start it by introducing the first first character from the game that Janusz will interact with. 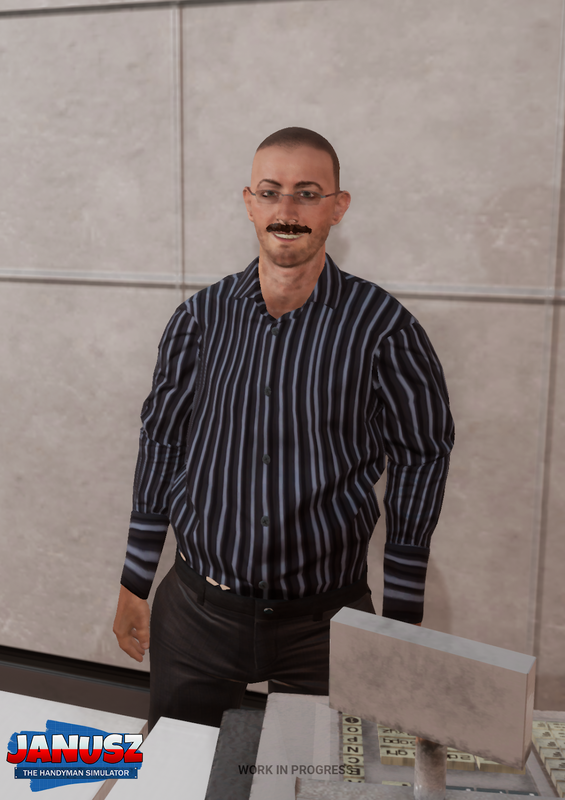 The owner of one of the shops in the game - Mirek. Mirek is middle-aged man bored by the daily routine whose only passions are selling overpriced items imported from China with huge a mark-up and slowly returning of a change to his customers. In his shop you will be able to buy various tools, building materials and something extra... :) Come visit his shop when you would be missing anything to do your job. Thanks to Mirek and the stuff you can buy in his shop you will easily do any job! 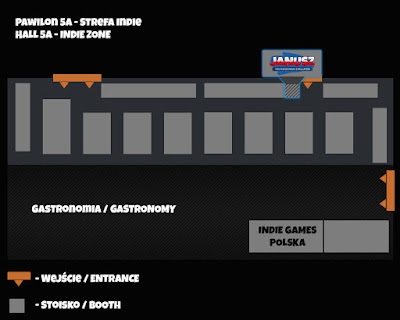 New website and Poznań Game Arena 2018 details! So a little update before Poznań Game Arena, some hot stuff are here! An official website of Janusz: The Handyman Simulator has been overhauled. We decided for more modern look and getting rid of useless sections. You can see 6 never released screenshots where you can see how Janusz has evolved - we will cover the evolution process during the last year here on our blog after Poznań Game Arena. You can check the updated website on januszsimulator.com. This year we will be located at exactly the same spot hall 5A, booth 9. 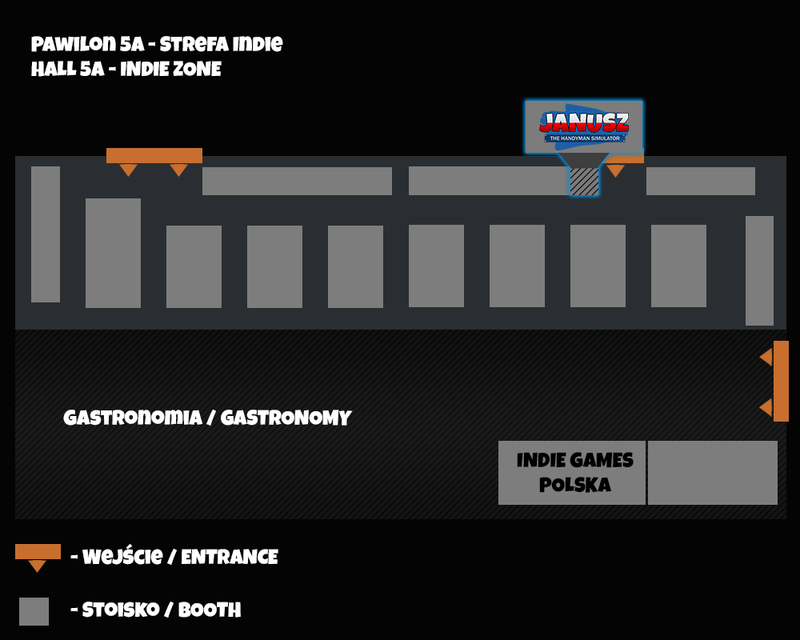 Here you can see map of the hall and our exact position so you can find chat with us about game and play it for the first time (even if you were last time at PGA the game has changed a lot since so it will be completely new experience). We hope to see you all there, thanks for following us! This is first blog post on our studios blog! We would like to start sharing with you game development updates on our current project Janusz: The Handyman Simulator starting soon. Add this blog to your bookmarks or your favorite RSS reader and stay tuned for the first post!